Fashion Polish: Guest Post : Lucy from Lucy's Stash and her awesome color block mani! 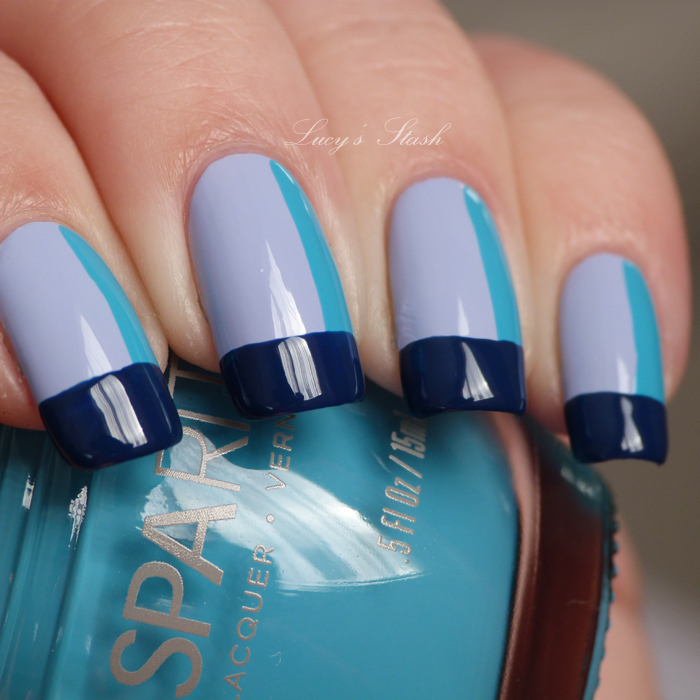 Guest Post : Lucy from Lucy's Stash and her awesome color block mani! I got a chance to do a guest post on Sam’s blog which I’m reallyexcited about! I love Fashion Polish and I’ve been reading it for a long time!Sam is doing great job and I’m always looking forward to new swatches. I little bit about me – my name is Lucy and I’ve been a bloggerfor past two years. I blog mainly about nail polishes and nail art butsometimes also about beauty boxes. 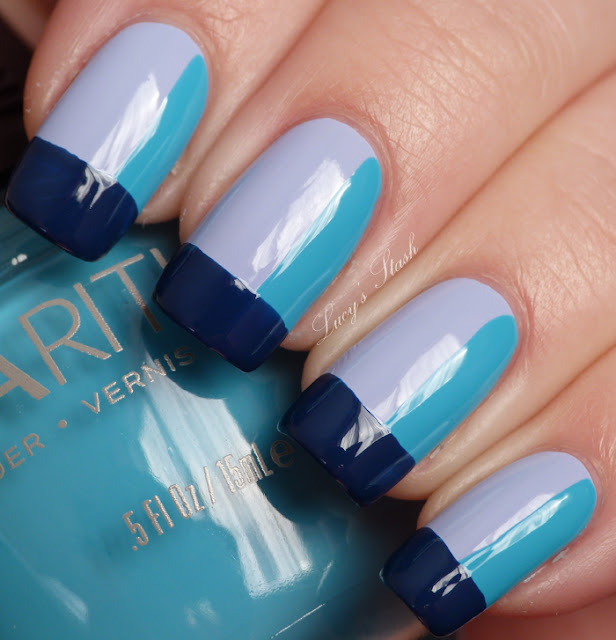 Ienjoy reading other blogs too; Fashion Polish is definitely one of them. I was thinking what I could do as a guest post and because Samdoes mostly swatches, I thought I might do a little bit of ‘nail art’, more colourful manicure. I’ve decided to do a little bit of colour-blocking manicure using colours from new SpaRitual Water collection. Firstly I’ve painted wholenail with Lucid, then painted stripe along the nail with turquoise blue Ebb& Flow. Lastly I’ve painted dark blue tip with Undercurrent and finishedwith Poshe Fast Drying topcoat. To visit Lucy's Stash, you can either follow the link or click on the image below. Thank you for visiting girls! that's really sweet and yeah, Lucy has amazing swatches! god i wish my nails looked like that. i just don't think i could stand it but i love this look. I really like this! I will definitely have to try this out! This is so sleek & stylish, I love it! Indeed, this is realy beautifull. This looks fab, amazing! Love it! But not surprising as I am gaga for the entire SP Water collection. Cannot wait to get all of them! I like Lucy´s nail designs and pictures always so much! The colours match so perfectly. I love this. This is beautiful and elegant. It's artsy and sophisticated. I would have no problem wearing this in a corporate setting. Beautiful colors and cool design! NEW at Color4Nails : Illyiran Polish Spellbound Collection swatches & review!